As server virtualization technologies like VMware get deployed in data centers, the increased complexity of the IT service makes storage management very challenging. HP Storage Essentials is a storage resources management solution that provides comprehensive capabilities to manage heterogeneous storage and its resources in a virtualized environment. 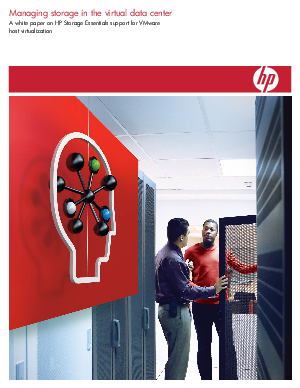 By providing VMware to storage array visibility and capacity management, best-in-class analytics, and automation capabilities, HP Storage Essentials improves storage utilization and reduces operational expenses in the data center.